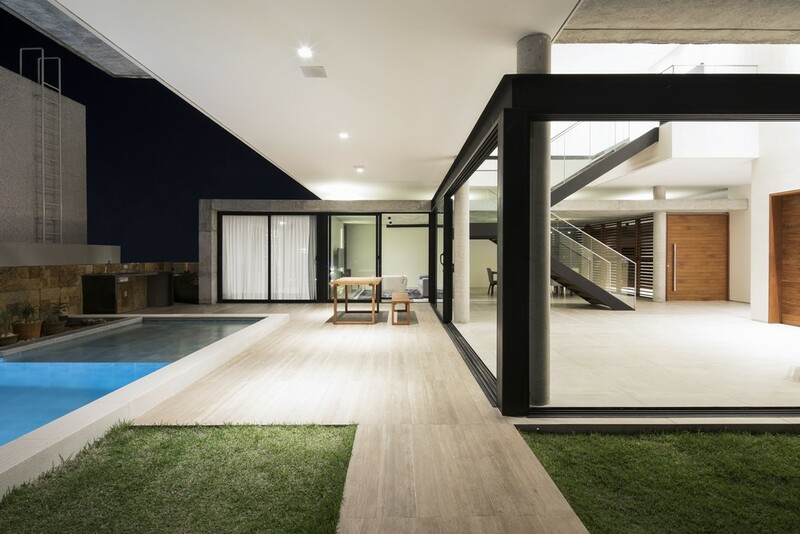 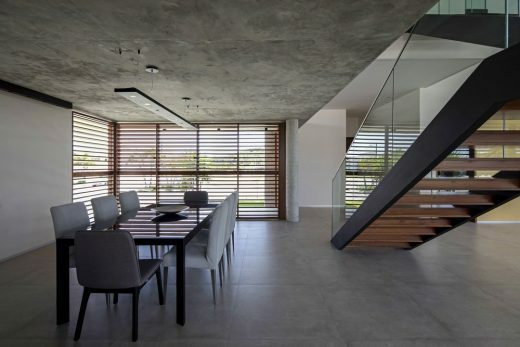 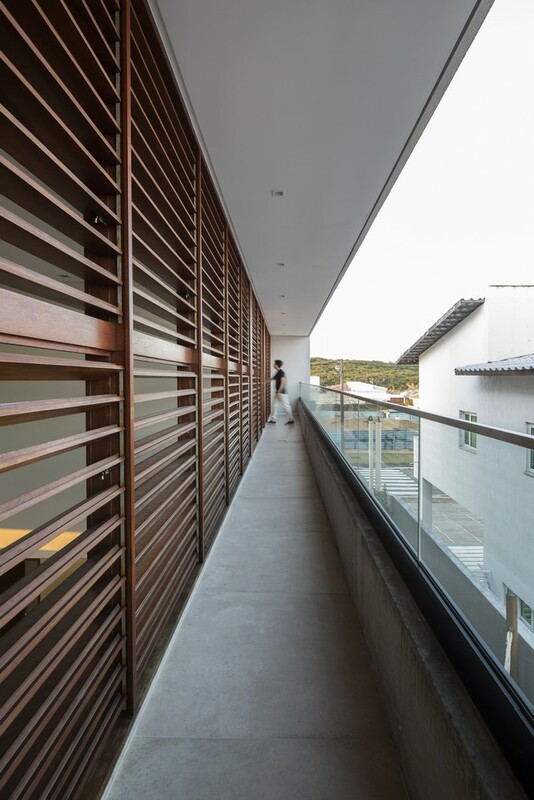 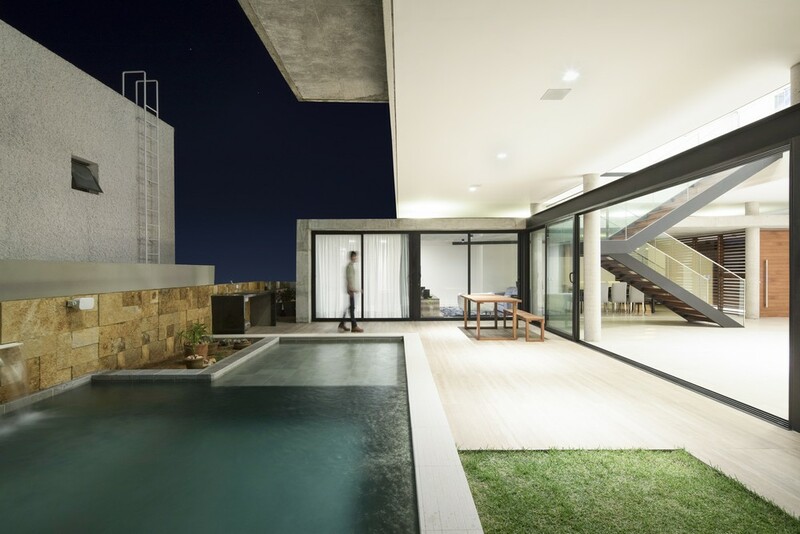 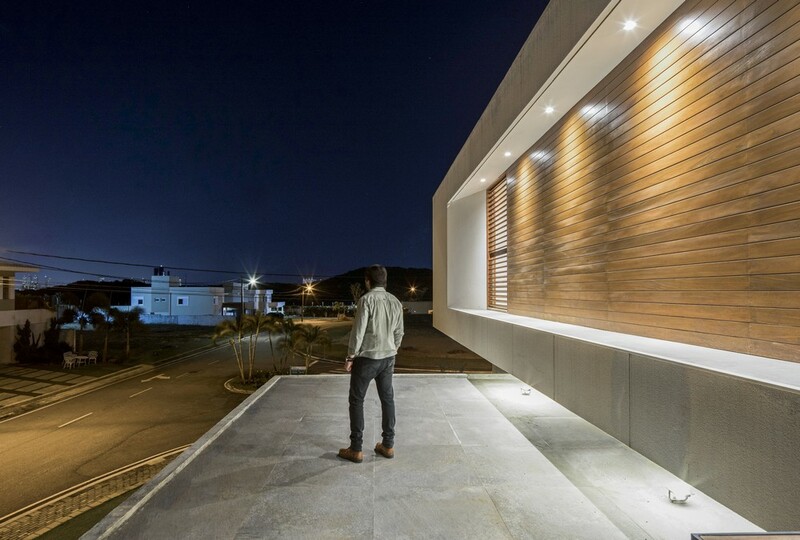 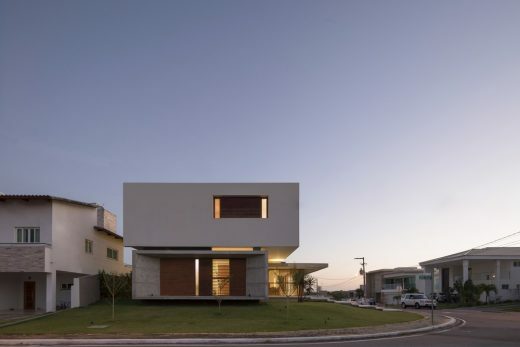 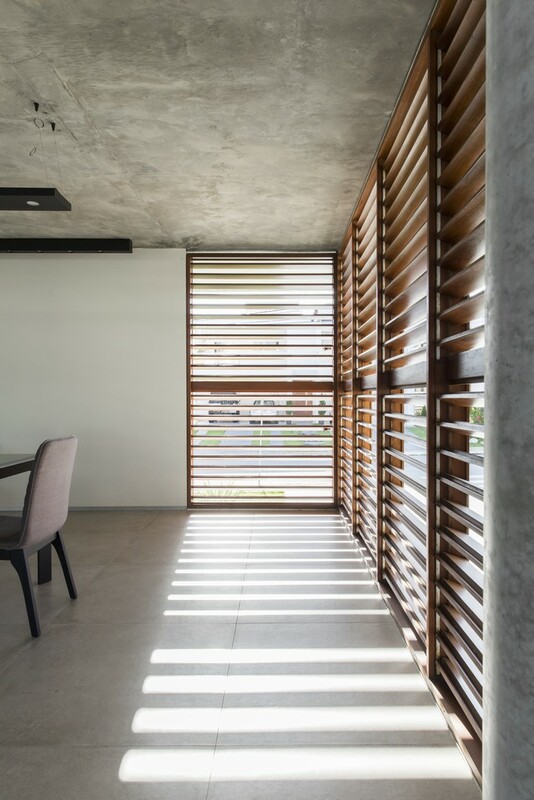 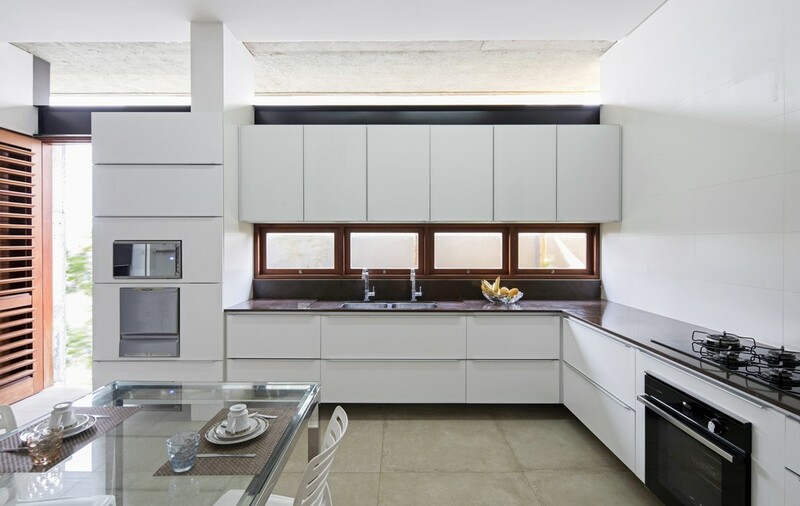 The single-family housing project with 420 sqm, located in a residential condominium in the city of Natal-RN, served in a bold and elegant way the purpose of welcoming a young couple with two children. 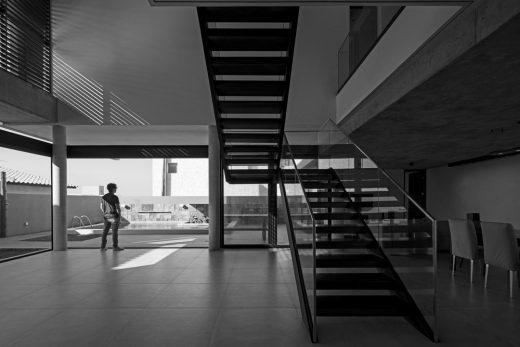 The distribution of the needs program in three floors follows the logic of contiguity of spaces. Thus, the ground floor comprises a kitchen, a guest suite and the social area, which was arranged to provide a fluid connection between the environments from the lobby to the gourmet, going through the living room and dining fulfilling comfortably the task of entertaining friends and family. 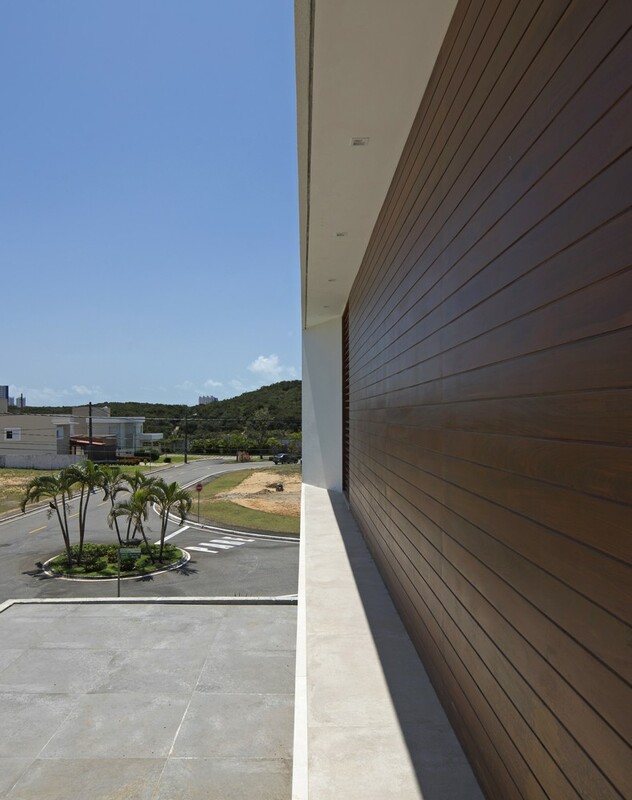 Still on the ground, the recreation area was leased at the back of the land in order to protect the family’s privacy. 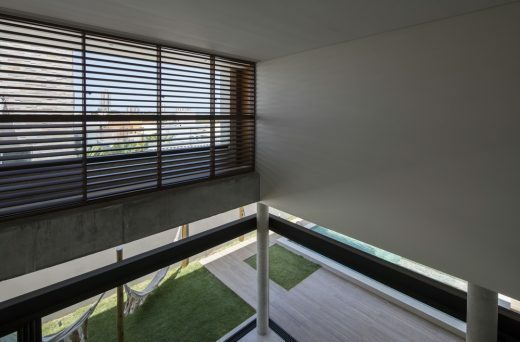 The upper floor accommodates intimate living area, consisting of three suites connected by a free space that houses a library, given the owner’s requirement. freedom, enabling the reading of the floors as separate volumes, and has guaranteed the fluidity of the internal spaces and large spans. 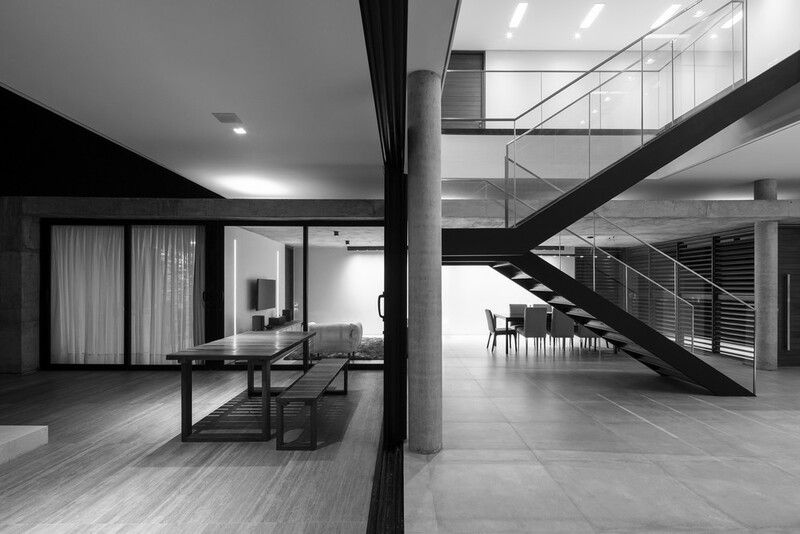 Clients: Iracilda Ataide And Fábio Ataide. Award: Honorable Mention In The Iab-pb 2015 Award In The Category Architecture Of Buildings. 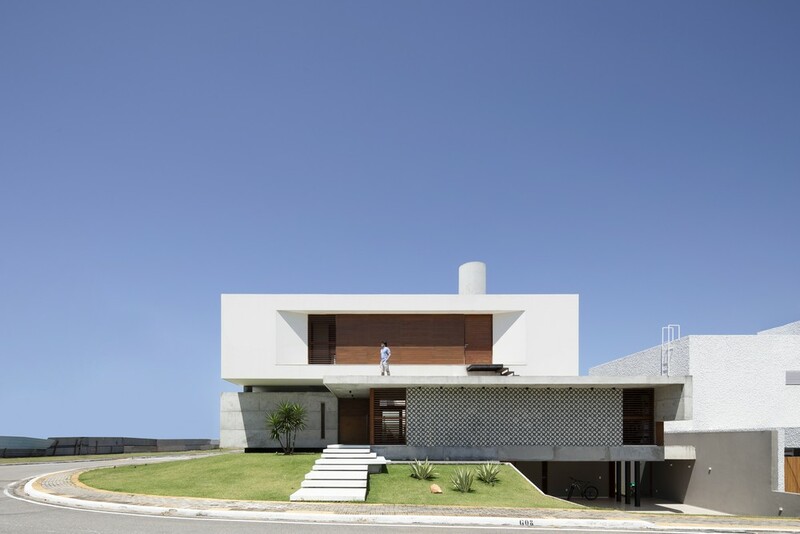 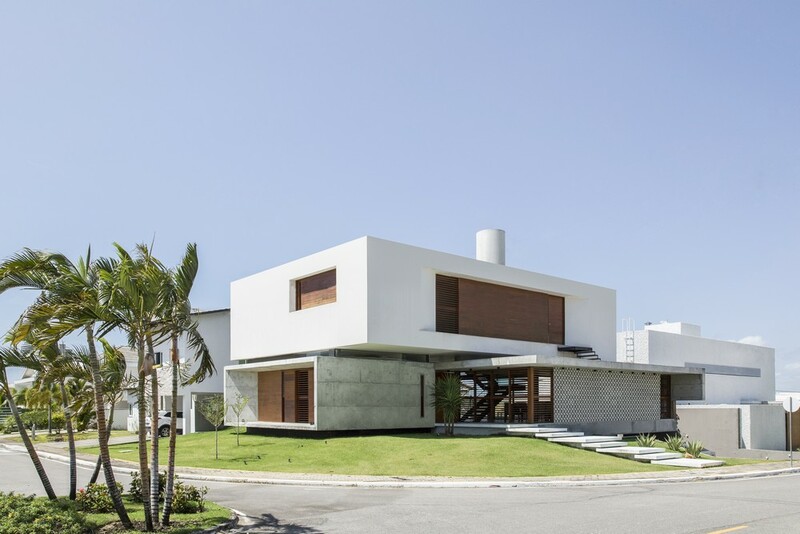 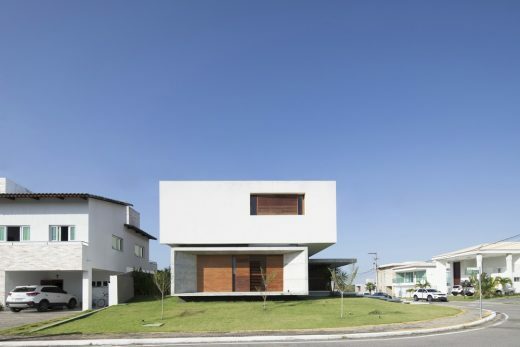 Architects:	Márcio Lucena, Kleimer Martins, Tadeu De Brito, Tamáris Brasileiro, Deborah Barbosa, Kellington Dantas E Anna Beatriz Monteiro. 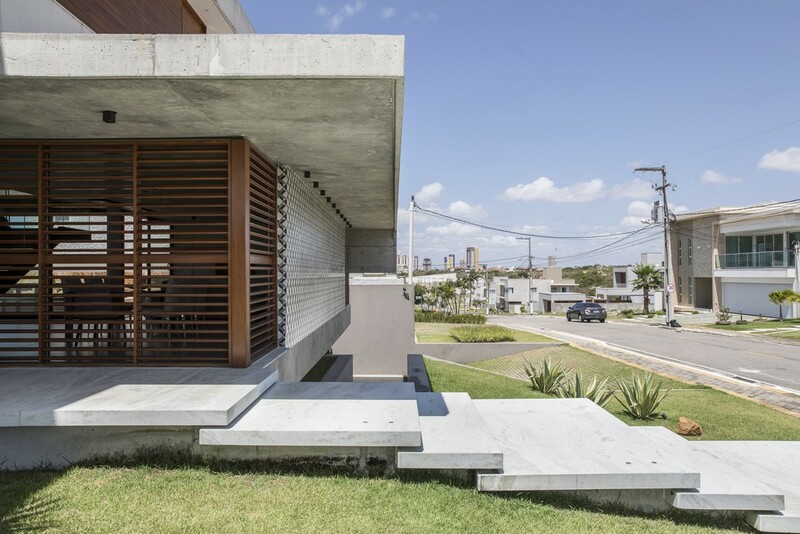 Engeineers:	Aurélio Marcolino – Structure And Ademi Costa – Construction. Architecture, Engineering and Design Office founded in 2009 with the association of architects Kleimer Martins and Márcio Lucena, both graduated in Architecture and Urbanism from Federal University of Paraíba in 2006. 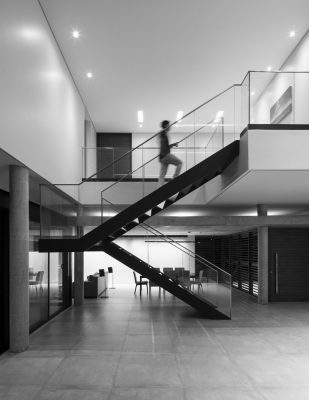 In your performance, the company develops projects of various scales and natures, both for the private sector and for the public sector, be they residential, commercial, services or institutional, as well as environments, combining the design of furniture and the creation of ambiences. 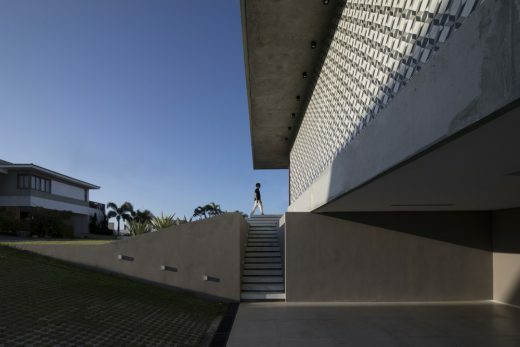 Projects that search in order to associate themselves with modernist legacies as contemporary issues, valuing functionality and translation in formal expressions that affirm the peculiarities of each edification. 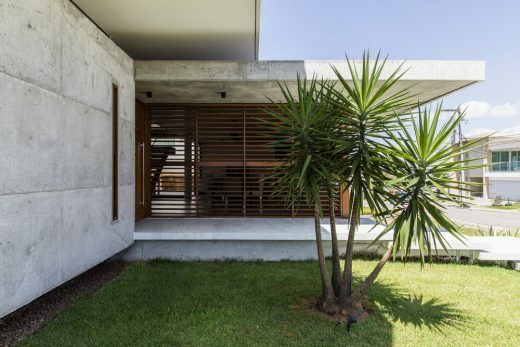 The professional vision of Martins Lucena adopts the concept of an application beyond the beautiful by its essence, it must be sustainable and inclusive. As the construction process begins, it is imperative that it adopt as sustainability techniques, when it is committed to the performance of its functional and energetic system in relation to the activities that house it, respecting the place where it is inserting a gentle dialogue with the landscape. The practical work was associated with engineering and consulting companies, thus achieving the development and management of large projects that require a multidisciplinary team on architects and engineers. 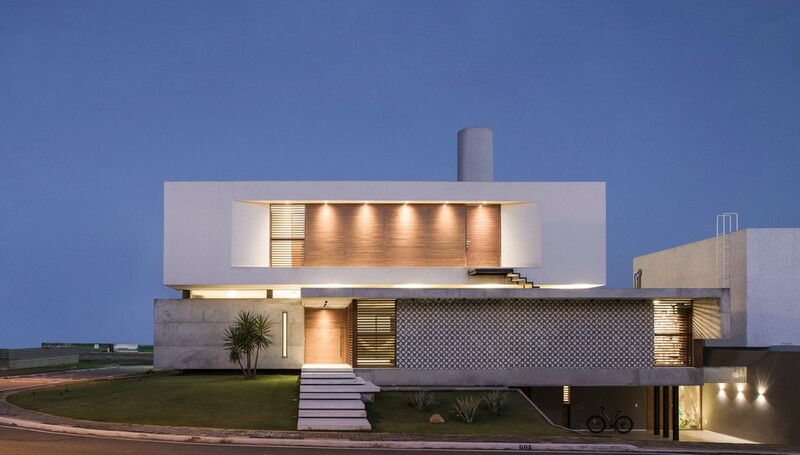 They also work in the administration, monitoring and execution of residential and commercial works, as well as participate in national and international architectural contests.